Few sociologists of the first rank have scandalised the academic world to the extent that Elias did. 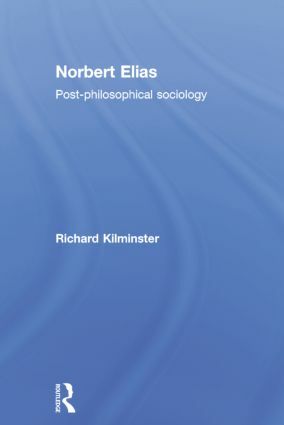 Developed out of the German sociology of knowledge in the 1920s, Elias’s sociology contains a sweeping radicalism which declares an academic ‘war on all your houses’. His sociology of the ‘human condition’ sweeps aside the contemporary focus on ‘modernity’ and rejects most of the paradigms of sociology as one-sided, economistic, teleological, individualistic and/or rationalistic. As sociologists, Elias also asks us to distance ourselves from mainstream psychology, history and above all, philosophy, which is summarily abandoned, although carried forward on a higher level. This enlightening book written by a close friend and pupil of Elias, is the first book to explain the refractory, uncomfortable, side of Elias’s sociological radicalism and to brace us for its implications. It is also the first in-depth analysis of Elias’s last work The Symbol Theory in the light of selected contemporary developments in archaeology, anthropology and evolutionary theory. Concluding remarks: The fourth blow to man’s narcissism?